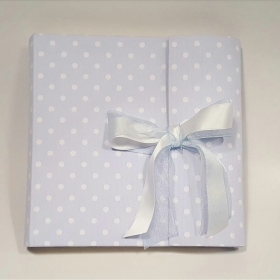 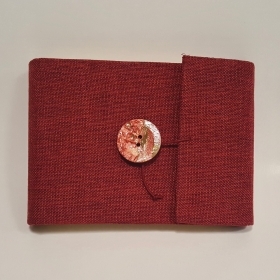 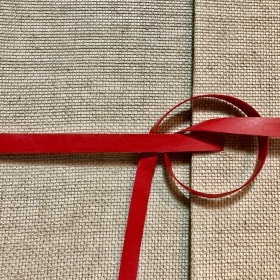 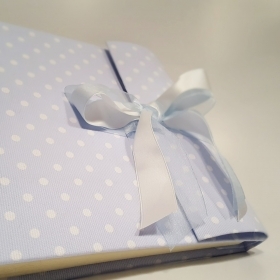 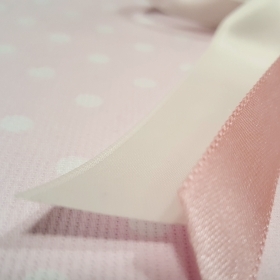 Photo album coated of canvas yuta scarlet and hand-craft Button. 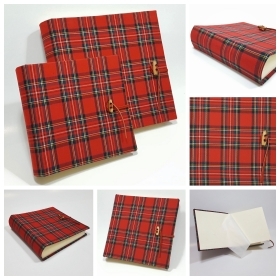 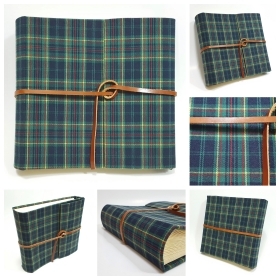 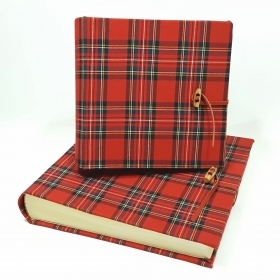 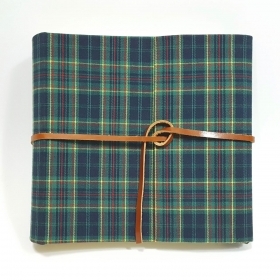 Photo album covered with Red Tartan wool fabric with leather closure. 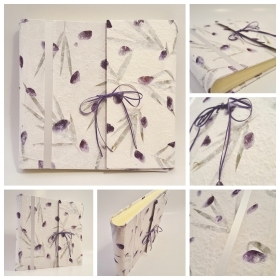 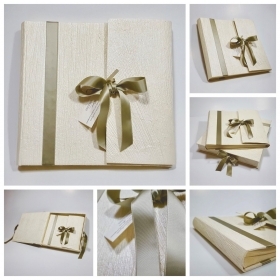 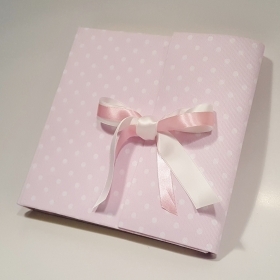 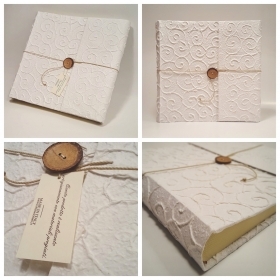 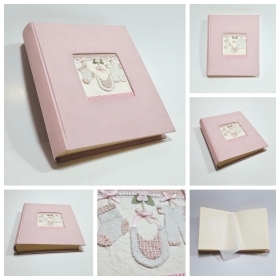 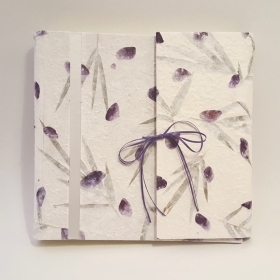 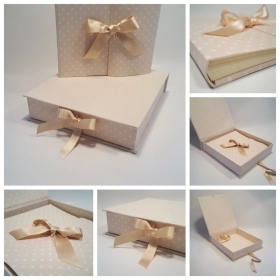 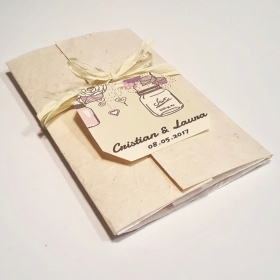 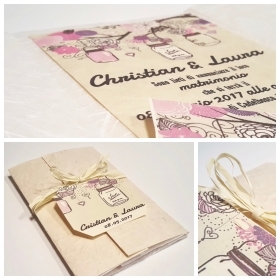 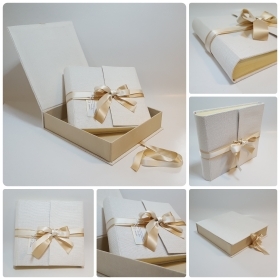 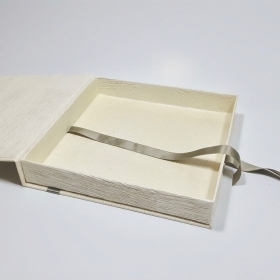 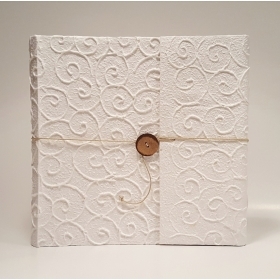 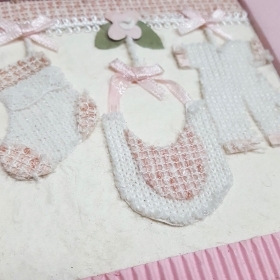 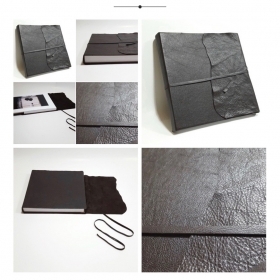 Photo album covered with structured mulberry paper motif spirals, button in natural coconut wood. 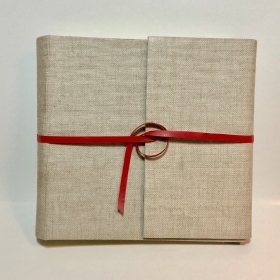 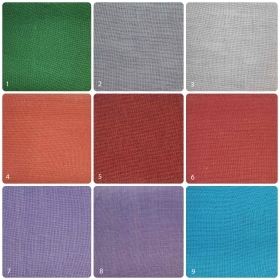 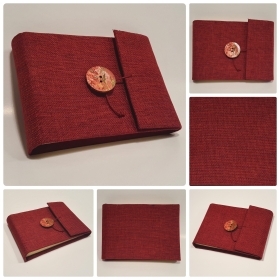 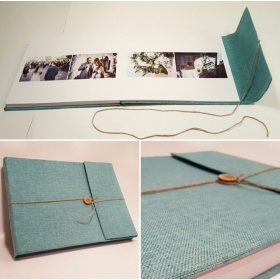 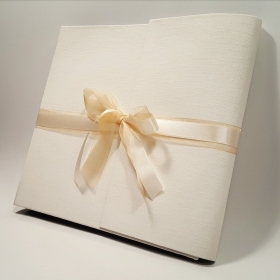 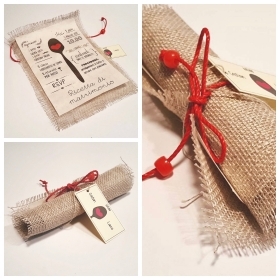 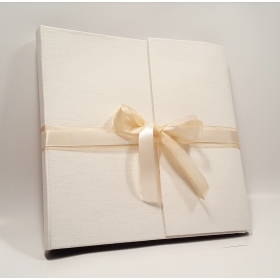 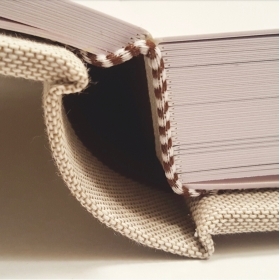 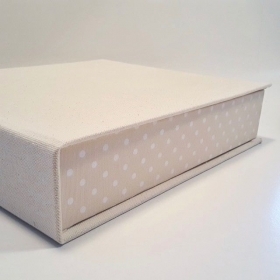 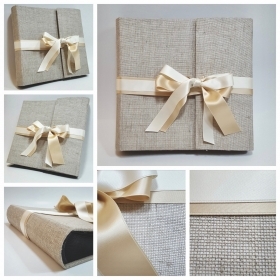 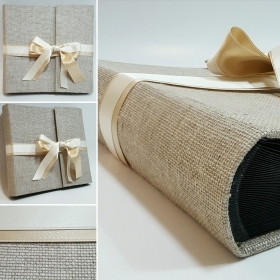 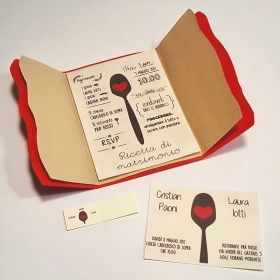 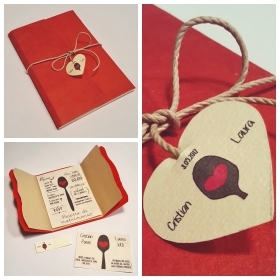 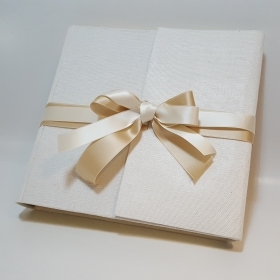 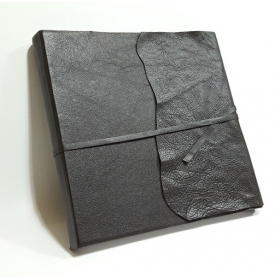 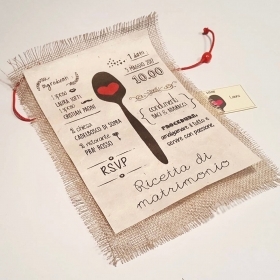 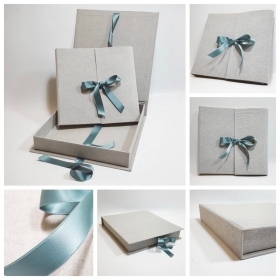 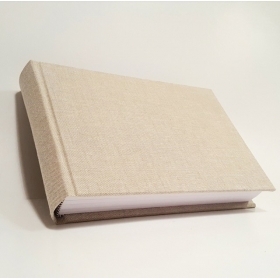 Photo Album covered with natural linen canvas and red eco leather closure.